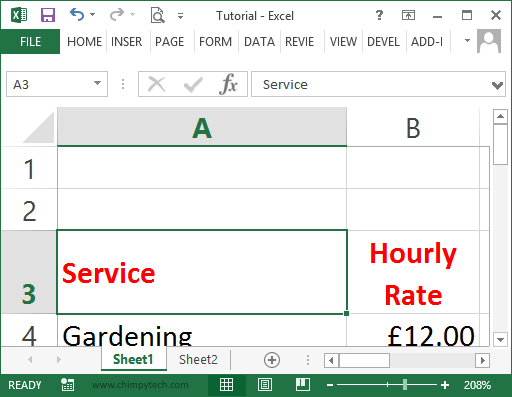 By default Excel 2013 worksheets are displayed at 100% of their normal size, but there are times when it is useful to zoom either in and show less on the screen, but make it larger, or if you have a large worksheet you can zoom out to see more of the Worksheet. 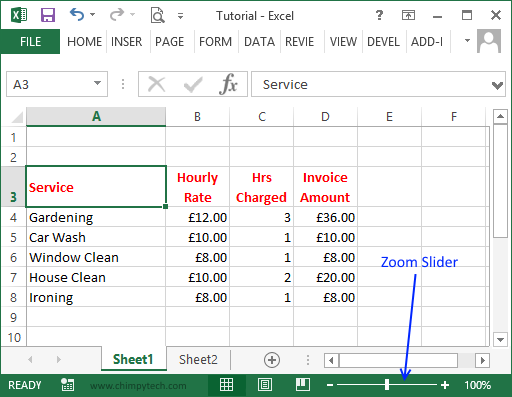 The easiest way to zoom in and out of your sheet is to use the ‘Zoom Slider’ that is located in the bottom right hand corner of the screen as shown in the screen below. Pulling the slider to the right zooms out allowing you to see more on screen, and pulling it to the left zooms in to enlarge what you see on screen, there is also an indication of the zoom level to the left of the slider. In the screen below you will see that we have pulled the slider to the right, to a level of 208%, which has made the cells a little more than twice their normal size. In the screen below we have dragged the slider to the right giving a zoom level of 66%, this has allowed us to see one third more of the Worksheet than before. 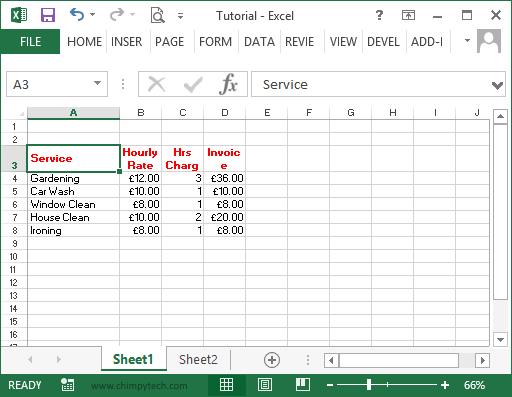 To return your Worksheet to its original size simply drag the slider back to the middle.